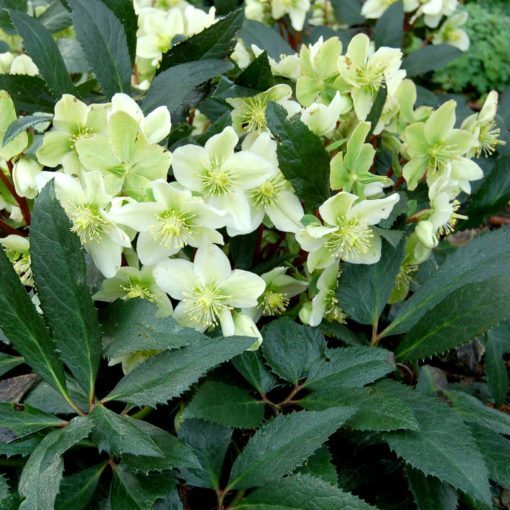 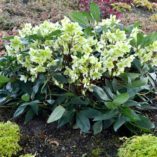 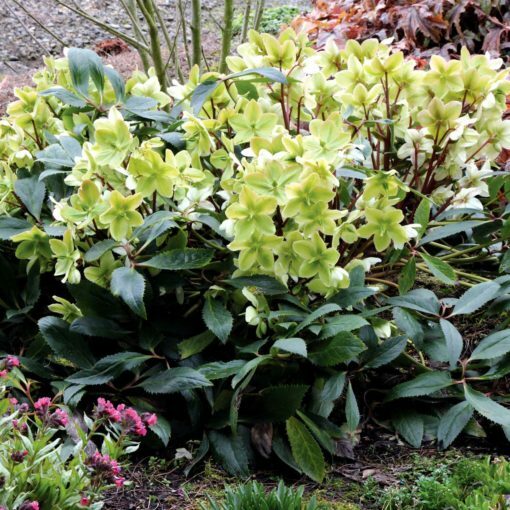 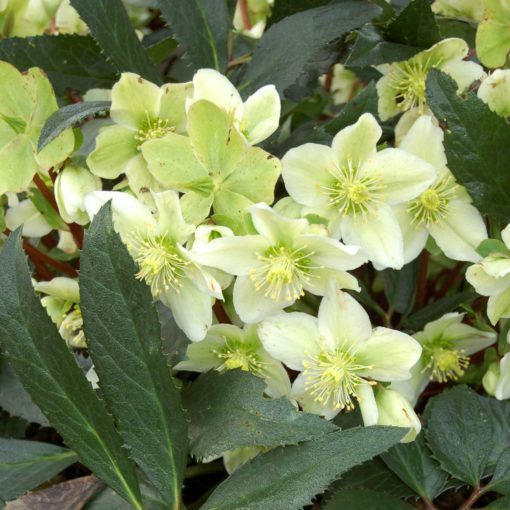 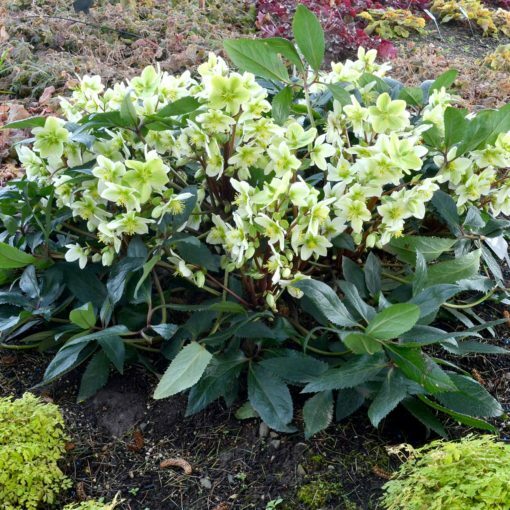 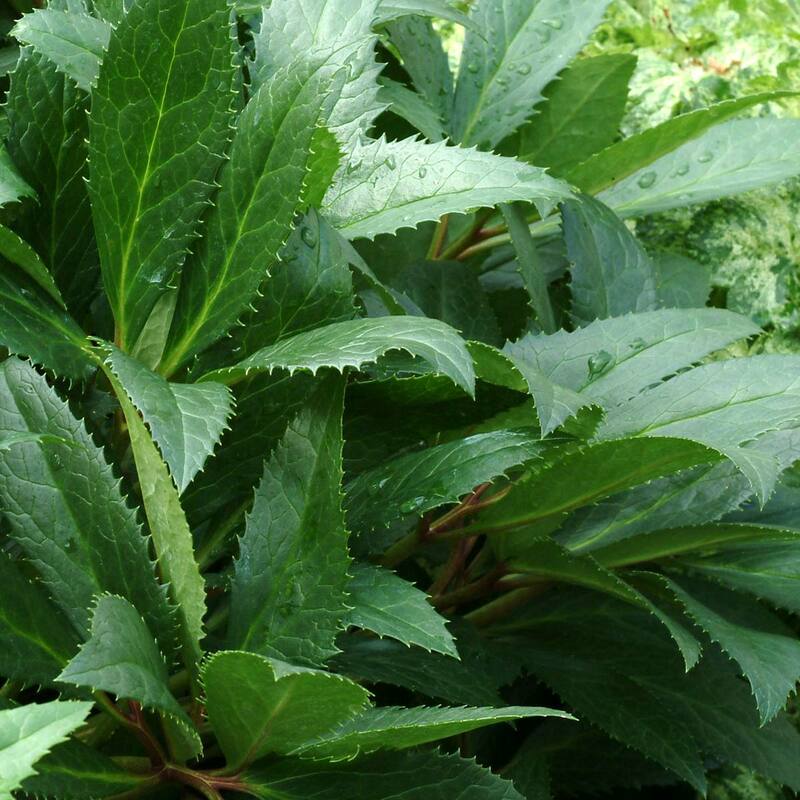 Helleborus ‘Honeyhill Joy’ | TERRA NOVA® Nurseries, Inc. This hybrid from Honeyhill Farms is exceptional for its quantities of large, outfacing, cream-centered, white flowers over vigorous, shiny, blue tinged foliage. 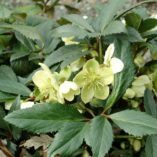 Plant 'Honeyhill Joy' at your entry to enjoy the exceptionally early 2-month long show of marvelous, late winter blooms. 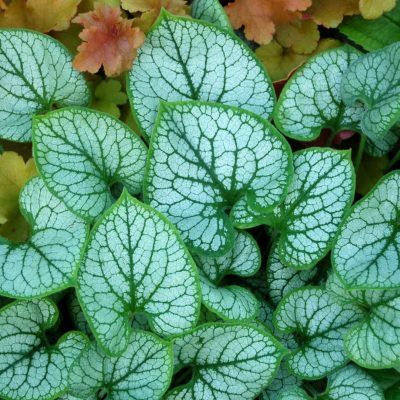 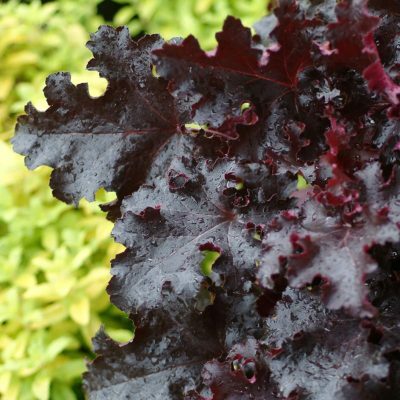 Foliage is exceptionally weather-resistant, almost like plastic! Blooms early (after its first winter) in a 4″ pot! 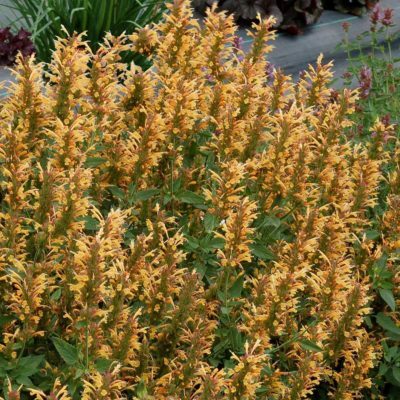 18" / 24" / 28"
Rich, but plant is fairly tolerant. 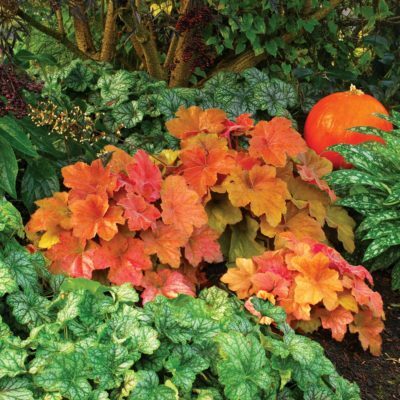 Good drainage is a must. This is a very early flowering, very reliable clone. It has a wonderful clean look year round. 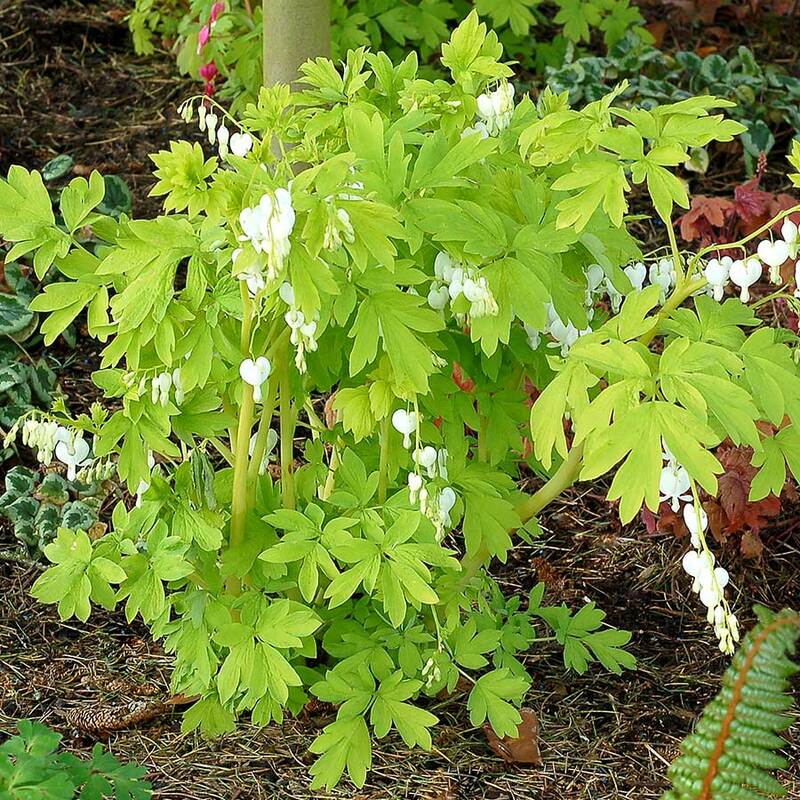 This plant is good in all seasons and an early bloomer. 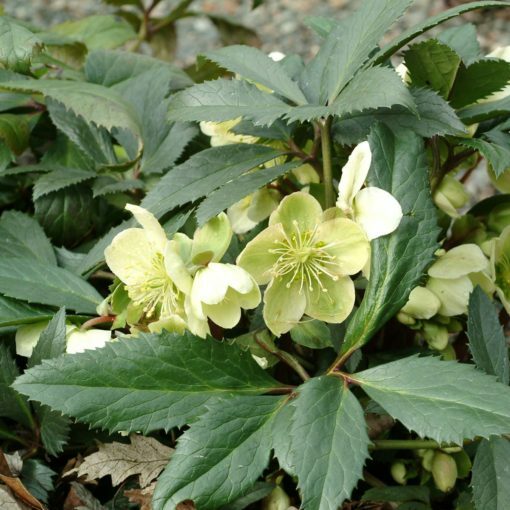 For spring blooming plants, transplant the summer before. 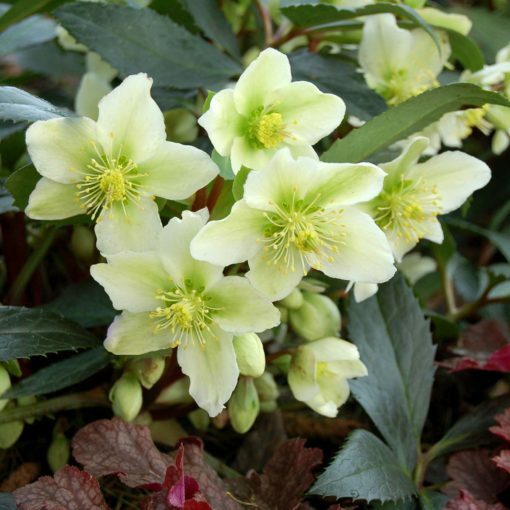 Helleborus grow best (greenhouse production) when day temperatures are 50-65° F and night temperatures are 45-55° F. Spring/Summer growing: 50% shade in the northern states, 70% shade for southern states is beneficial.